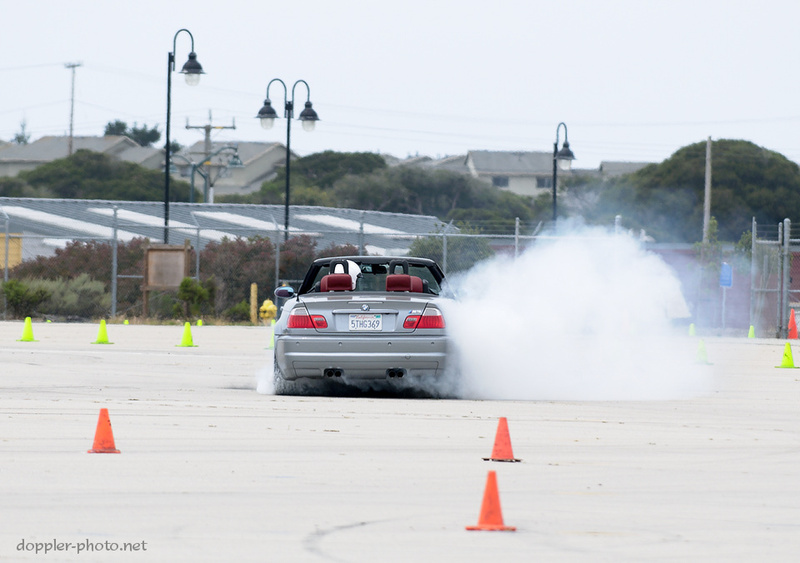 The last time I went autocrossing, it was still the year 2010. 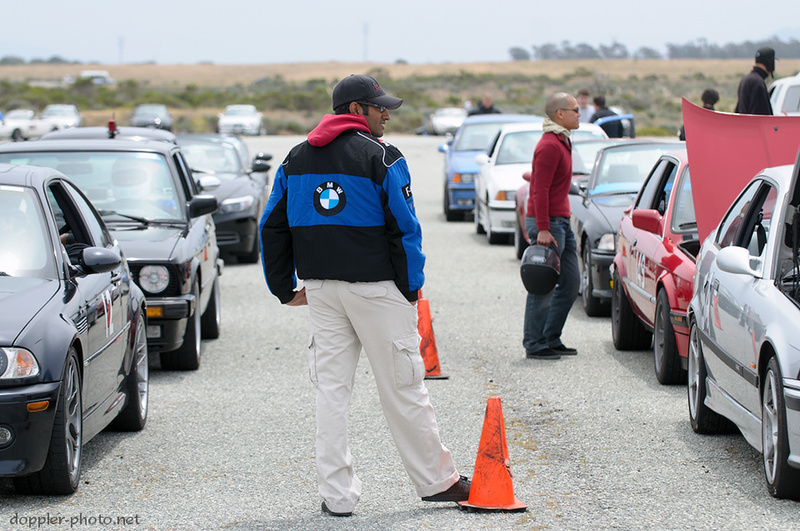 So yesterday, May 14th, I finally drove down to Marina Municipal Airport to hang out and practice some good 'ol car control with the Golden Gate Chapter of the BMWCCA. The GGC events manage to combine a laid-back attitude with a consistent atmosphere of safety. Here, Praneil Prasad waits before waving car 12 (far left) from the pre-grid to the start line. Ovidiu Predescu spins so much he could be a DJ. In just one example of why he's attained this reputation, Ovidiu gets a little tail-happy during one of the slaloms in yesterday's course. As another driver put it, "You're not driving hard enough unless the rollover protection deploys."